> They say they aren’t “Disneyfying” Dickens, but how else can you describe a theme park dedicated to Charles Dickens? I’m not saying I wouldn’t visit, understand; Disneyland is fun. 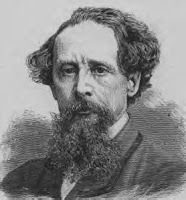 And the world could use more Dickens, so why not? Maybe it will even stimulate reading . . .